We recently bought an Xbox One S purely for the 4K Blu Ray disc drive, with it being the cheapest 4K Blu Ray player we could find (£130 on Gumtree in immaculate condition). Does this mean that the next generation of consoles are likely to no longer be the "all in one media centres" that they currently are? Well let's hope that Microsoft and Sony carry on their current system of releasing several versions of their consoles. 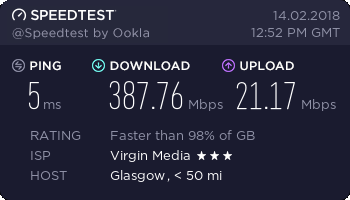 Obviously, cutting the price for those that never buy discs is a good idea, but like yourself, many people still aren't on superfast, or even fast, internet. OMG I had to Google that. Being reasonably old and from the UK I tend to use "disc" to describe all round flat items, including magnetic storage media, from before CD being a thing. I had no idea that the Phillips "Compact Disc" trademark had actually stuck for optical media. So a blu-ray, despite not being a CD, uses the European "disc" spelling despite other storage deriving from IBM's work in America often being called "disk". Had optical media been invented in the States they would all be called "disk" which for me makes it a bizarre convention, though still makes more sense than "fewer" vs "less". Thanks for the education, though being British and stuck in my ways I will no doubt continue to just use "disc"
It makes sense for the future, no point producing packaging or discs but it's slightly sad for the second hand market. Never understood why I usually manage to find an actual copy of a game cheaper than a downloaded copy though. Thank You, but you give me too much credit. Being a Brit too, I actually assumed that it was a generally accepted difference based simply on my own preferences, not based upon any evidence. I'd be interested to know if using a console is already impossible without internet at a practical level. Say a publication buying an xbox/playstation bundled with a primarily single player game such as RDR2 and seeing if they can set it up without a connection. No OS updated no MS/Sony account and no day 1 patches. Would it work? On a slightly related note to that; I saw someone post this on the Reddit a couple of weeks back. His internet had gone down, so he decided to watch a Blu Ray instead of relying on Netflix. 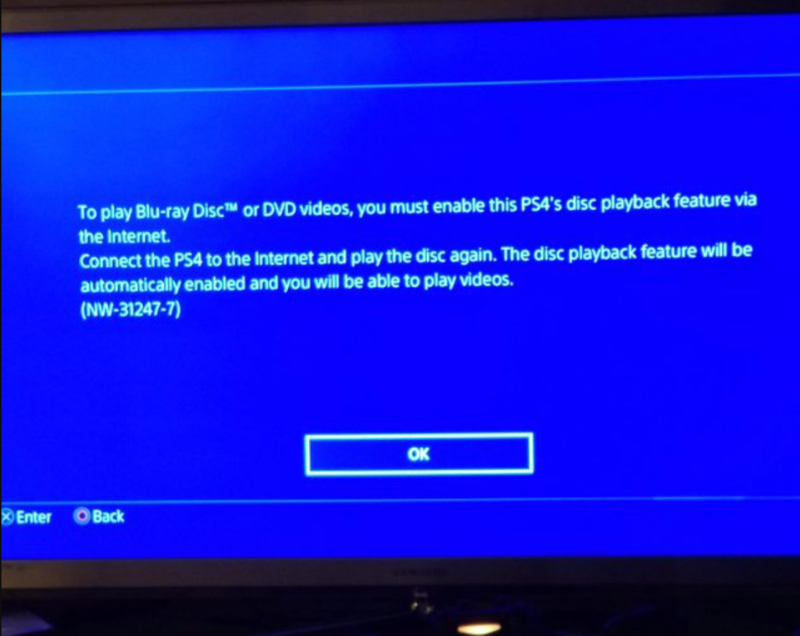 Was it a matter of having to activate the feature first (and thus once-only), or was it a case that it applies to every single attempt to play a Blu-Ray or DVD? I could understand the former, even if I'd prefer it wasn't necessary, as I'd assume it would mean that a licence fee gets paid to relevant companies for every activation. But if the latter, it would mean it turns playback into a sort of always-online DRM, rendering one of the reasons for choosing physical media over streaming as impossible for that player. Which does lead in to my "Is it possible to use a console OOTB without internet" query. And if you can't, does the box warn you of that? So, does that means that Sony actually pays BluRay licence only once it has been activated? So many people do not use their optical drive to watch BR, so this is some money saved for Sony?